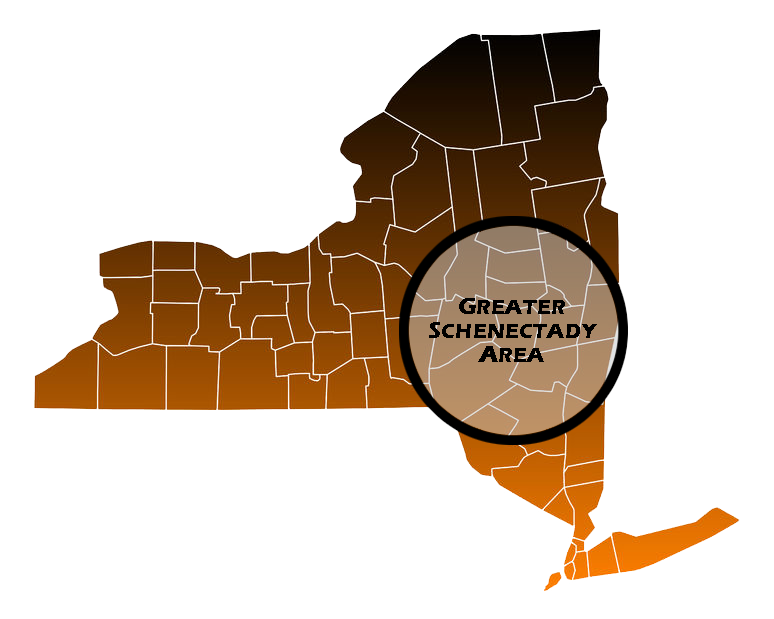 Schenectady, located in eastern New York near where the Mohawk and Hudson Rivers meet, is a city with a population of a little over 66,000 that is part of the Albany Metropolitan area. It is famous as the place where many important American companies grew to prominence - most notably General Electric. Schenectady also has the distinction of being a city that often appears in fictional contexts, such as the science fiction novels of Kurt Vonnegut, the "Star Trek" franchise and numerous movies. Many people get to points beyond Schenectady proper though the Amtrak national passenger rail system, which offers daily service to and from Schenectady. Of course, if the train isn't for you, there are car owners in Schenectady, too. If you are one of them, or planning to become one, make sure you get a Schenectady car insurance quote right now for free from Capital Gate Insurance Group. You can't drive without auto insurance and finding the best rates on your own can be a challenge. Capital Gate knows Schenectady and many insurance carriers who service Schenectady, so we can make your Schenectady car insurance search easy and a low-stress proposition. Schenectady is an extremely historic town. There are plenty of ways to take advantage of this, including visiting the Stockade Historic District - New York state's first historic district - as well as the Schenectady County Historical Society History Museum and the Proctors Theatre, which features a genuine Wurlitzer pipe organ. On Rush Street you can find the Rivers & Casino Resort, which includes the upscale boutique Landing Hotel and a casino gaming floor with slots, 67 live table games like blackjack, craps and roulette and a 16 table poker room which plays host to Poker Night in America. You can enjoy waterfront entertainment "On the Patio," with live music and food and drink specials. If your idea of recreation extends to the outdoor vehicle persuasion, you can find plenty of opportunities for motorcycling, RVing and boating in and around Schenectady. But before you do, be sure to contact Capital Gate Insurance Group for a quote on Schenectady boat insurance, RV insurance, ATV or motorcycle insurance. Although there was some flight from the city in the 20th century following the Great Depression, residents have returned to Schenectady in force and the population continues to grow today. If you're planning to become part of the newly robust Schenectady community, contact Capital Gate for a home insurance quote. We have a great network for finding Schenectady homeowners' insurance as well as renters' insurance to protect your belongings and shield you from liability if you rent your place of residence. If you're bringing your family with you and are looking to protect them, Capital Gate Insurance Group can also find you a great deal on Schenectady life insurance. In the 20th century, Schenectady had a thriving industrial economy built largely around General Electric. Today, the city has reinvented itself and its economy around renewable energy. If you have a renewable energy business or any other kind of commercial enterprise in Schenectady, you need to protect it with reliable business insurance. Capital Gate Insurance Group can help you choose from several high-quality Schenectady commercial insurance carriers for your business, so be sure to get in touch with us for a free Schenectady commercial insurance quote right away.